Last night, like millions of other people, I watched the 49th Annual CMAs (Country Music Association Awards). Many thoughts ran through my head…Which guy is Florida, and which one is Georgia? Wow, did country-Katy-Perry crash this party? Oh, that’s Kacey Musgraves. Why is Darius Rucker dressed like a Storm Trooper? Can Carrie Underwood be more perfect? Chris Stapleton is awesome, and I have never heard of him. Can Justin Timberlake be more perfect? Blah, blah, blah, for three hours this went on in my head and sometimes out of my mouth as my husband and I made a drinking game out of spotting people from the show Nashville, drinking if we saw men in skinny and/or ripped jeans, and betting on whether Eric Church will ever remove his sunglasses in public (not last night!). But here’s what really got to me. 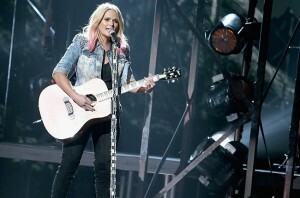 At the beginning of the show, Brad and Carrie made a joke…a joke…out of Blake Shelton and Miranda Lambert’s divorce. The joke wasn’t mean-spirited, and when the cameras panned to Blake, he seemed to laugh and take it in stride. But still…this is the point where I reiterated a mantra that I have repeated a million times…I don’t want to be famous. I sat on my couch in my jammies and watched Miranda Lambert sing. While I am awed by her talent and feel like we would surely be best friends if given the chance, all I could do was feel awful that she had to live out the worst parts of her life in front of cameras, tabloid magazines, and in sound bytes for reporters. Miranda came into celebrity knowing the trade-offs she would make in her personal life, but I wonder what she would give to not have to trot out the worst parts of her marriage, her pain, the mistakes she and her husband both made…in public. I could never be famous. I could never be famous. I’m a total mess. I would be Britney Spears from 2007 as a celebrity. Going out in public would be awful. Can you imagine being famous and trying to get a gallon of milk from the gas station for your morning cereal? And being mobbed by adoring fans with smart phones filming your every move? And having your yoga pants at 9pm on a Monday end up as a tabloid picture? Um, no thanks. Similarly, not going out in public would feel like prison. Because celebrities are mobbed when they go out, they have people. People to run errands for them, people to pick their kids up from school, people to drive them places. So you’re either accosted by adoring fans everywhere you go or stuck at home with your people. While it sounds lovely to be pampered by people for a day or two, I would just like to be alone and anonymous. Celebrities are neither. Being married in the public eye seems like torture. Never are celebrity couples able to relax…they field rumors of break-ups, infidelity, and marital strife constantly. Being happy doesn’t sell. Paparazzi follow them on their vacations. Magazines create drama where there might not be any, but if they do break up like Blake and Miranda, they have to do that in front of everyone, too. Parenting in the public eye would never work for me. Because I write a blog for purely entertainment purposes, I control what I put out there about my kids and my parenting (or lack thereof). Celebrities valiantly try to give their kids normal lives, but what is normal about being followed everywhere by photographers? And if I’m a celebrity who’s managed to make it to Target with my kids and they start acting up, I’m going to discipline them, which will land me on the cover of The Enquirer as a child abuser. If I don’t discipline them, then other sanctimommies will whine about my terrible permissive parenting. Being a good parent is hard enough without adding the layer of public scrutiny that comes with celebrity. There is no step-up for celebrities. My family is working toward better things. We’re young, and we would love to replace the floor in our kitchen and update the brass fixtures in our older home. We’re saving for our kids’ college education. Justin Bieber, on the other hand, learned to drive in a Ferrari. Where do you go from there? Nobody’s perfect, but celebrities are held to a standard of perfection anyway. It’s no wonder so many celebrities have problems. They’re expected to look perfect, say the right thing, date or marry the right person, and make no mistakes in work or in play. It’s an impossible standard, and TMZ and its ilk just wait for the perfection breakdown to occur and pounce on it. If there isn’t an easy moment of weakness to exploit, a well-placed out-of-context quote or photo will do nicely for the hungry-for-drama public. Maintaining perfection would be the most difficult aspect of celebrity for me. I don’t want to be famous. I want to cuddle up with my family each night and thank God that we can be us, without all the noise and drama and people wondering what our problems are. I’m not sure how celebrities maintain balance in their lives, but to be honest, I don’t really want to know. Love this, Carrie. I don’t want to be famous either! I do well to get through a day as it is! I just want all my sweet friends to come spend the day, eat soup, pimento cheese, and apple caramel lava cake, and sew until we can’t see anymore! I want my grandchildren to love on me all the time without the cameras rolling. There are a million other reasons I don’t want to be famous. Love you, my sweet friend!!!! I love this. I have not watched yet but I DVRd it and missed the very beginning, so – they made a joke about it? I’m kind of tired of those two hosting the show and want to know when someone else will do it. Even if Carrie is still flawlessly perfect. Sigh. But yeah, I’m a big celeb gossip girl, but I wouldn’t want to be one, either. I love Blake. I love Miranda. I hate this but I expected it and boo hiss – but yeah (again) – not my thing!! Agreed. I feel a bit hypocritical saying how I don’t want to be famous while still following my favorite celebs’ gossip religiously.? I am with you. I could never be famous. It was totally awesome. I was on cloud nine. but then it was weird — like who else sees me. Probably no one hahaha!! But celebrities get that all.the.time. They can’t go anywhere. Wow. That’s awesome! And awkward… I always wonder when I write stories about my kids’ public meltdowns if someone who witnessed the incident will ever actually read my take on it. Who knows?! ?